Improvements in technology and internet speeds have made the platform even more popular for making financial transactions online. At the same time, this rise to prominence has made the online payment process more of a target for cyber criminals. This guide aims to help you stay safer when paying online with your favourite gambling sites. Go to the very bottom of the homepage and look for the seals and small print. This is where you to need to look for a legitimate remote gambling licence. UK-based players need to see a licence from the Gambling Commission, whereas others can look for licences from the likes of Malta, Gibraltar, Alderney, the Isle of Man, and Curacao. Nowadays, the major gambling sites use an industry standard form of 128-bit encryption. Secure sockets layer (SSL) is a must-have for legitimate sites, with the technology used to encrypt financial transfers and the sharing of information. You can look for the presence of SSL by checking the web address bar for a green lock icon and the letters “https”. Major credit/debit card providers have now created a password system to add an extra level of security for online transactions. If your site doesn’t ask for the password, then you should switch to an alternative payment method that is more secure. These digital wallets can be used to store funds for the purpose of completing financial transactions online. An eVoucher or prepaid credit card is something that you can purchase physically from a retailer. 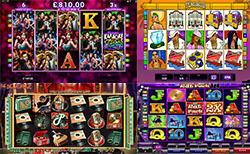 The idea is that you can safely spend cash in person and then redeem the eVoucher or prepaid online to add the funds to your gambling account. In recent years, there has been a clear surge in popularity for the use of phone bills in making online gambling deposits. With a daily limit of £30, it is possible for customers to make deposits and then pay for them later through the monthly phone bill. The most fascinating payment method has to be cryptocurrency, which is led by Bitcoin. Gradually, there are more and more gambling sites beginning to accept cryptocurrency wallets. These complete deposits by using public and private security codes rather than asking players to get by with login details alone. Cryptocurrency remains quite a niche approach, what with the soaring exchange rate of Bitcoin now making it tougher for players to acquire viable funds. Nevertheless, there are new and more affordable cryptocurrencies emerging, so there could continue to be a widening in the acceptance of Bitcoin and others.